Peyton Erikson runs with the ball. Rhinelander amassed 366 yards of offense, most of it on the ground, and grabbed a pair of interceptions Friday night, but it wasn’t enough as the Hodags fell to Mosinee, 42-21. Offensively, Drake Martin lead the way with 291 yards rushing on 33 carries and two touchdowns. 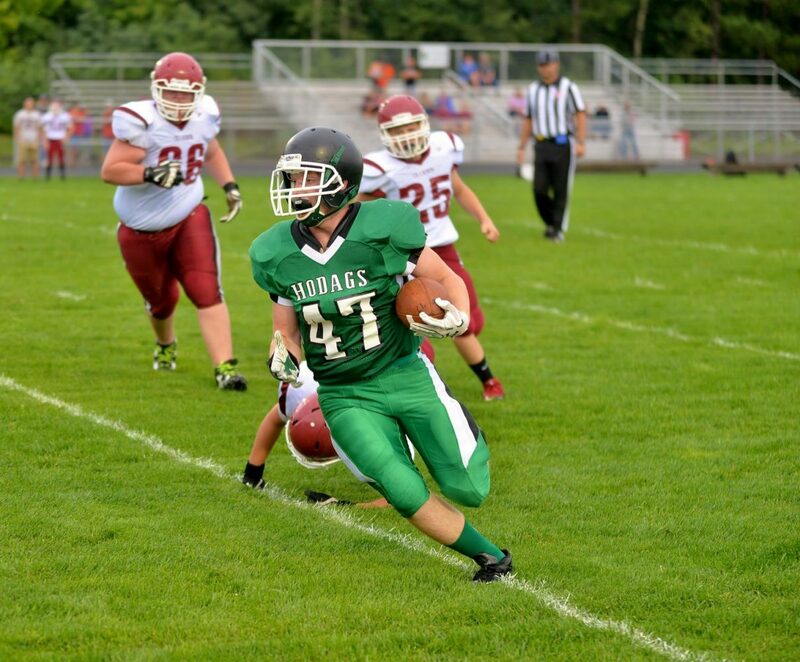 Walker Hartman put the first Hodag points on the board in the first period and ended the night with six carries for 33 yards and the touchdown. On the other side of the ball, Peyton Erickson had 5 1/2 tackles and an interception with Josh Francisco chipping in with three tackles and an interception. The Hodags travel to Merrill Saturday for a 1:30 p.m. game.